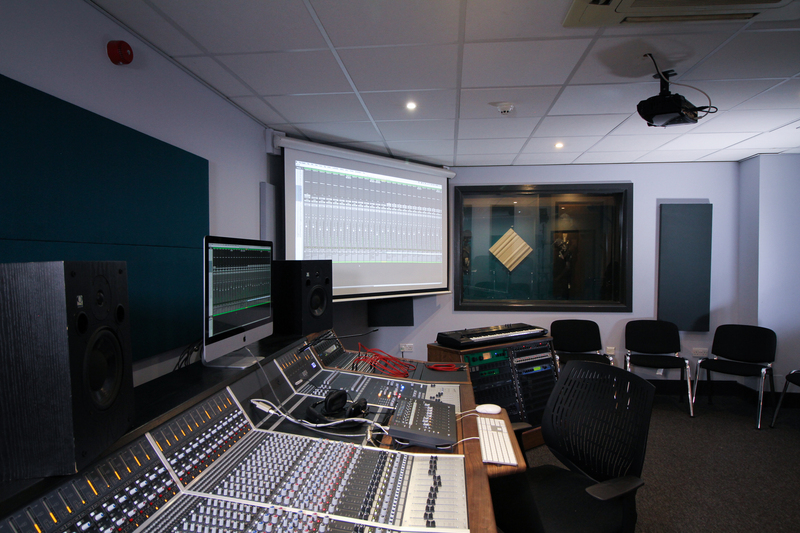 With one of the largest control rooms of any of our studios, a newly fitted Audient ASP8024|HE console, a range of industry-standard outboard gear and a large connected live room, Audient Studio 2 is the perfect space for recording a full band setup, vocals, or creating tracks using a range of production equipment that is available to you. 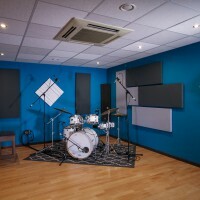 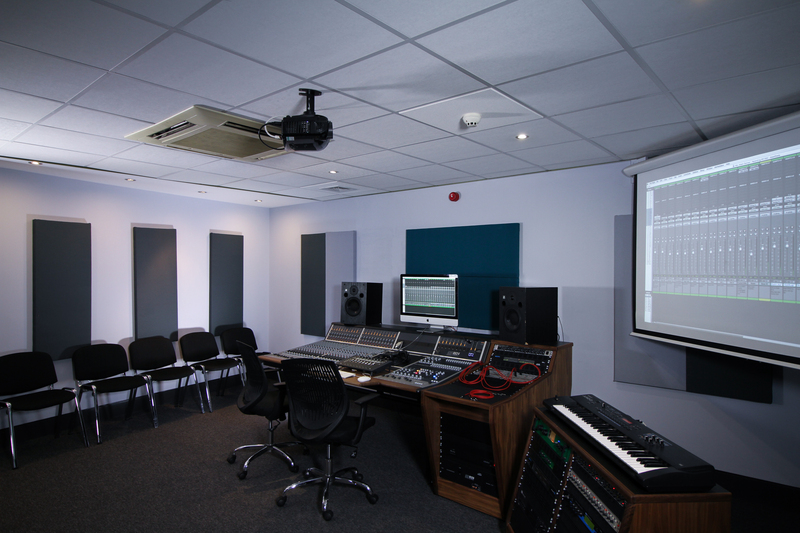 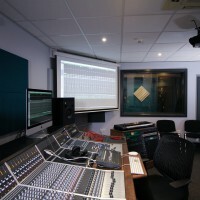 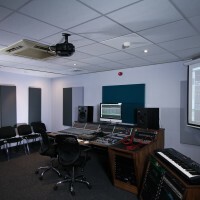 And with a large projector screen installed, this studio is perfect for practical teaching sessions while also providing a fantastic mixing environment for both students and professionals. 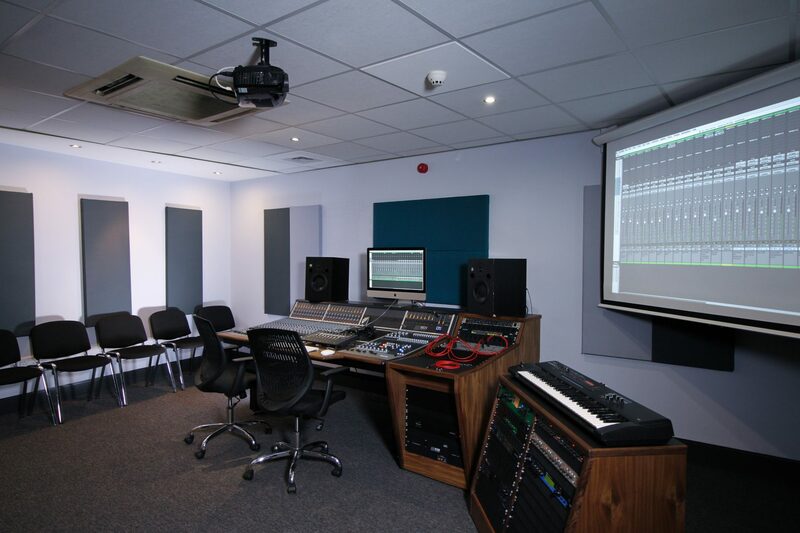 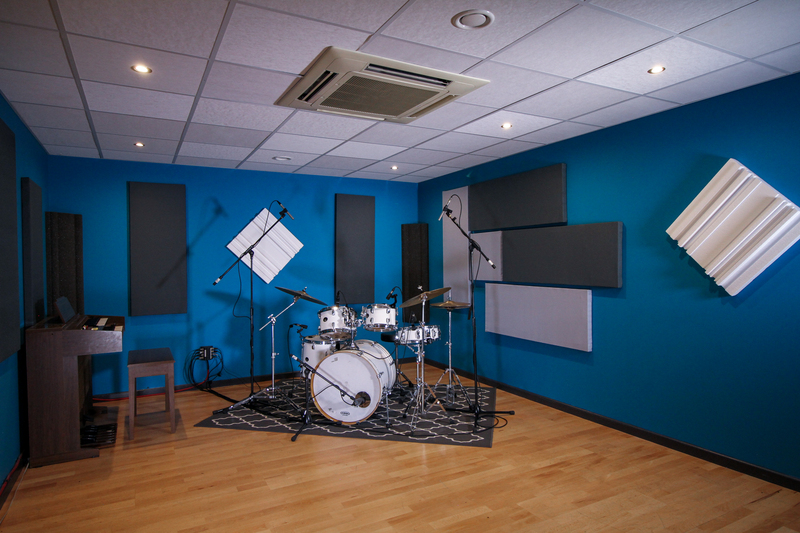 As one of our entry level studios, you will have access to this studio from Year 1 or Stage 1 of your course, giving you the opportunity to get hands-on with hi-spec and professional equipment from the very start of your time at Spirit Studios.